Graham Stringer was born in Manchester, and he has lived in the city all his life, except for a period spent across the Pennines in Sheffield, studying for a degree in chemistry. He was an analytical chemist from 1974 to 1981. Graham Stringer was Councillor for Charlestown Ward for three years and Harpurhey Ward for 13 years. He was elected to Manchester City Council in 1979, remaining as a member until 1998, and was leader of the Manchester City Council from 1984-1996. During his 12 years as leader, there were many changes affecting local government generally and Manchester was at the forefront of innovative urban regeneration through such projects as: the Hulme City Challenge initiative, the development of Metrolink, the rail link to the airport and the airport itself, as well as creating the National Cycling Centre, the largest indoor arena in Europe, the Art Gallery extension and the Bridgewater Concert Hall. Active involvement in Manchester’s Olympic Bids and its bid to host the 2002 Commonwealth Games has enabled Graham Stringer MP to promote Manchester and the North West on an international stage. Graham Stringer was a member of the Manchester Airport Board from 1984 to 1997 and Chair of Manchester Airport from 1996 to 1997. 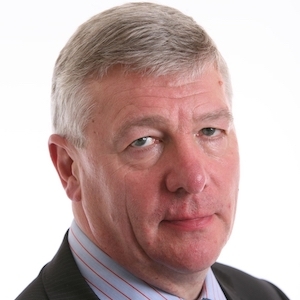 Graham Stringer was elected member of parliament for Manchester Blackley in May 1997, and was a member of the House of Commons Environment, Transport and Regional Affairs Select Committee and its Transport sub-committee from 1997 to 1999. He was appointed to the government as parliamentary secretary for the Cabinet Office in November 1999 and from 2001 to 2002 was a government whip. Graham was re-elected to represent the newly formed constituency of Blackley and Broughton in 2010, 2015 and 2017. He now serves on the Science and Technology Committee and the Transport Committee.